Call your child’s doctor if you have questions and to make sure your child received all of the recommended doses. 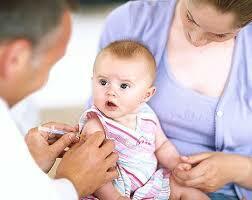 Most children who get a Hib vaccine do not have any problems with it. However, side effects can occur. Most are mild, meaning they do not affect daily activities and get better on their own in a few days. Mild side effects can include fever or redness, warmth, or swelling where the doctor gave the shot. See the vaccine information statement to learn more.